Blockchain is the blocks of data which are linked together in chronological order using cryptography. These blocks serve as a database to store online transactions and hold the information securely. Blocks are arranged in linear order, a chain-like structure with each block containing a pointer to its previous block and transactions details along with a timestamp. Once the block gets filled, a new one gets generated. Data contents recorded on the block cannot be altered once saved. To alter to content, all subsequent blocks need to be altered. Blockchain technology was first implemented in 2009 to secure Bitcoins transactions. Blockchain is an open, distributed ledger which is used to store all the online transactions talking between two parties on peer to peer network. The use of Blockchain is not limited to Bitcoins, cryptocurrencies, and financial transactions. There are various other industries which have started gaining benefit by using this technology. One major industry among those is Advertising industry. Off late, the ad industry has come to terms with the potential that this technology possesses and companies have gradually begun investing in creating Blockchain enabled platforms. Why is Blockchain needed in advertising? Increase in online frauds: The most widely used metric to measure the effectiveness of an online ad campaign is keeping the count of clicks, views, and likes. But some notorious minds in the business have started using the Bots which replicates the human behavior and provides fake clicks and views. Because of this, it gets almost impossible for the advertisers to analyses the performance of their campaign and they end up losing a huge amount of money. Presence of Middleman: Programmatic buying involves a middleman which is usually an ad exchange which helps in the process of bidding. This is not always cost effective for the advertisers and publishers as they have to give a certain share of the transaction to the middleman. Irrelevant ads to the audience: Mere buying the ad space and serving the campaign is not enough. Ads must be shown to the right people at right time. Programmatic buying doesn’t always guarantee ads being targeted to the desired audience. 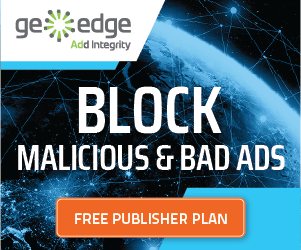 Users get flooded with unwanted ads resulting in frustration to counter which they install ad blocking software. Blockchain ensures numerous advantages for advertisers, publishers as well as users. This being a decentralized platform brings transparency in the ad buy process and assures the advertisers that their ads are being shown on the desired location. Blockchain utilizes BAT (Basic Attention Token) which is a utility token based on Ethereum blockchain and tags the creative to follow it on the internet. With this, it is able to track how the users interact with the creative and also analysis if the clicks were genuine or produced by Bots. This helps to get rid of fraudulent activities and establishes the trust. The user can share their data with Blockchain which gets distributed on the shared network and the Advertisers get access to this large pool of data related to user’s behavior, their browsing interest which helps them to retarget the audience more effectively. Users can also decide if they don’t wish to share their data with the advertisers. Advertisers may also offer users to pay a certain amount to seek their personal data. Advertisers are able to measure the performance of campaigns more effectively with the availability of engagement metrics, not just clicks and likes. With the presence of ad server’s publishers and advertisers can negotiate on terms and conditions without any involvement of middleman. As Blockchain is encrypted with cryptography, it makes the transactions secure and advertisers gains trust in dealing with the publishers. Blockchain enabled programmatic buying improves the pace of bidding process and allotment of ad space. Really helpful. One can easily go through this and get the basic idea about what is blockchain and why is needed in advertising and advantages of the blockchain.